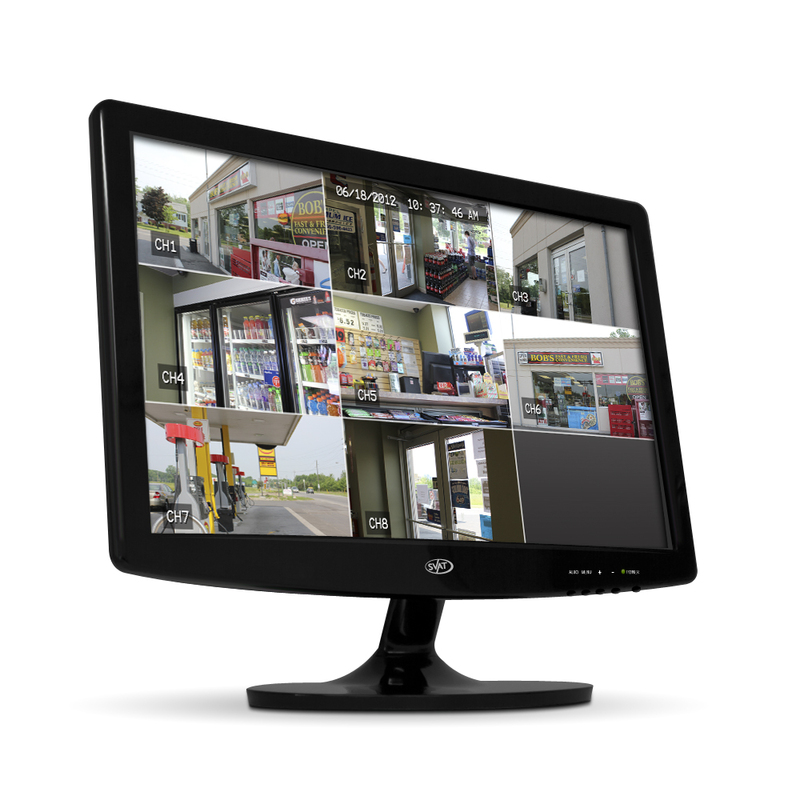 Complete your security system with the DEFENDER® 19” LED Color Monitor. It’s the perfect addition for a total monitoring solution. An ultra slim LED profile fits virtually everywhere on an attractive stand. This lightweight monitor is also VESA wall mount compatible. When unwanted motion is detected, both you and the intruder will be notified with the loud audible alert. “Stop! Your movements are being recorded,” will loudly ring out through the built-in speaker when unwanted activity is detected. Add this monitor to your DEFENDER system in a single step by simply connecting to your DVR with the included VGA cable.